Food Lovin Momma: National Zucchini Day!! In honor of National Zucchini Day, here is a delicious recipe from my friend Lauren. I have yet to make this, but she says it delish and I completely trust her taste! 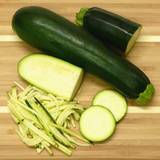 First, prepare the zucchini by washing and cutting in half lengthwise. Scoop out the pulp. With a spoon, hollow out the zucchini by carving out enough zucchini flesh to leave it in "bowl" form, but don't penetrate the skin. Leave about 1/4" of zucchini meat so that it won't fall apart when it's cooked. In a large skillet, brown meat. Add the chopped veggies (pepper, onion, and zucchini) and cook until tender. Drain fat and water from skillet and add seasonings. Add the spaghetti sauce and simmer until hot. 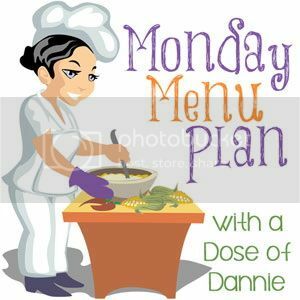 In a roasting pan filled with 1/2" of water, place the zucchini boats side by side and fill each boat with the meat & veggie filling generously. Cover with foil and bake at 400 degrees for 30 minutes or until zucchini is soft. (You can also cook it in an electric skillet on 225 degrees if you don't want to hear up the house during the summer!) Once zucchini is tender, remove the foil, cover boats with the cheddar cheese, and finish off in the oven until cheese is fully melted. I'm gonna make this recipe today. From the Ingredients it looks good but I don't know what will happen until i finish cooking.